Setting up an emergency fund is a great idea! However, it could affect your SSI benefits if you have saved too much. But how much is too much? 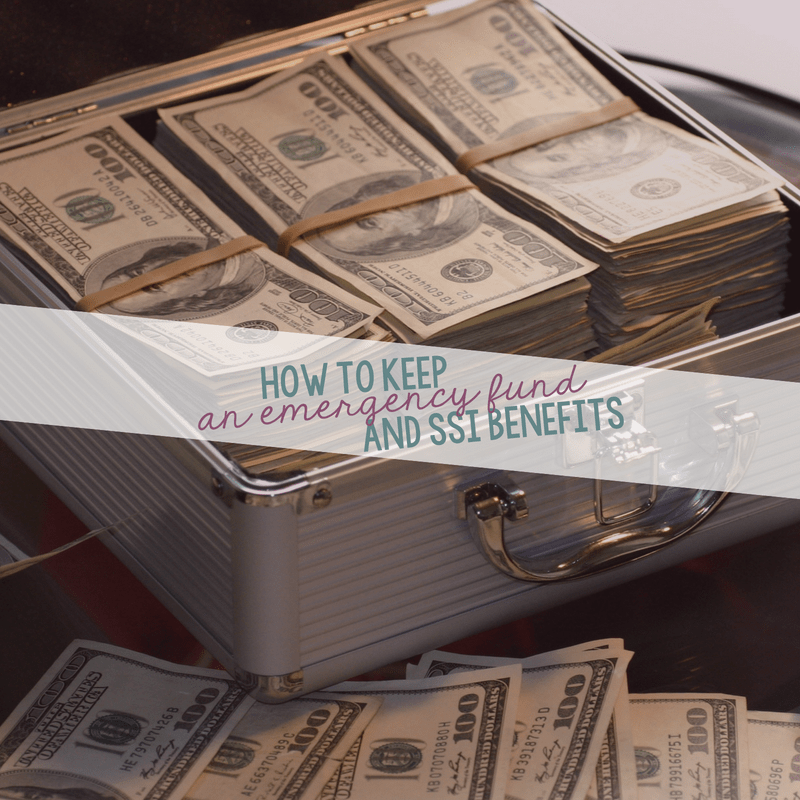 Here’s how much to put in your emergency fund without affecting your SSI. While some are lucky enough to escape them, nearly everyone goes through some type of emergency in their lifetime. This might be a major emergency like an earthquake or flood that causes structural damage to a home. Or it could be a car accident that leads to extended time out of work. But do you need an emergency fund? Even with a family budget in place, you could budget for your emergency fund just like you would for a vacation fund. Having an emergency fund could give you added peace of mind for when you’re over your budget or if you find yourself hit with an unexpected expense. You’re probably familiar with Murphy’s Law: “Whatever can go wrong, will go wrong.” It rears its ugly head when we least expect it. That’s probably why it’s called a law, not a theory. When it comes to personal finances, old Murphy really seems to know when to pile it on. Unexpected expenses and changes in your financial outlook are not a matter of “if”, but “when”. But all is not lost however, with a little prior planning, you can be prepared for when Murphy comes knocking. It’s a great idea to always have a backup plan, especially when it comes to finances. When times of crisis hit, you’ll need an emergency fund to fall back on. Some cash set aside to deal with life’s little (or big) detours. How to Set Up An Emergency Fund? That depends, really. What kind of lifestyle do you lead and how much will it costs to maintain that lifestyle if you’re out of work? Most experts recommend you save a minimum of three months worth of basic expenses. Figure out your monthly budget (you do have a budget, don’t you? ), subtract expenses you can live without, then multiply it by the amount of time you think you’ll need the fund to rely on. Keep in mind, three months contingency money should be an absolute minimum. If you’re single and have no dependents, the amount is going to be significantly less than if you’re married and have three kids. The more people you’re financially responsible for, the more money you should plan on socking away in this fund. If you have dependents, look to save at least six month’s worth of expenses. To soften the blow should hard times arrive, look into short-term and long-term disability insurance like AFLAC. This can help pay some bills while you’re out of work. Your emergency fund should be stashed somewhere safe and easily accessible. No, not under your mattress. We’re talking an account with liquidity, meaning you can turn that savings into cold, hard cash quickly. Checking accounts, savings accounts or money market accounts are just a few options to look into, though each offer different advantages and disadvantages. Like most Americans, you may stretch your income to cover the regular monthly expenses, and always choose to ignore or not to think about the brakes that are getting spongy or the plumbing that’s beginning to make strange noises. And then you suddenly (or not so suddenly) end up a with a heaping sum on top of your usual monthly expenses when the brakes wear off and the plumbing break out. Planning and saving for those events can help prevent an ordinary life from turning into a crisis and can also cut down dependence on credit cards. Not having savings is a major reason people get into debt. 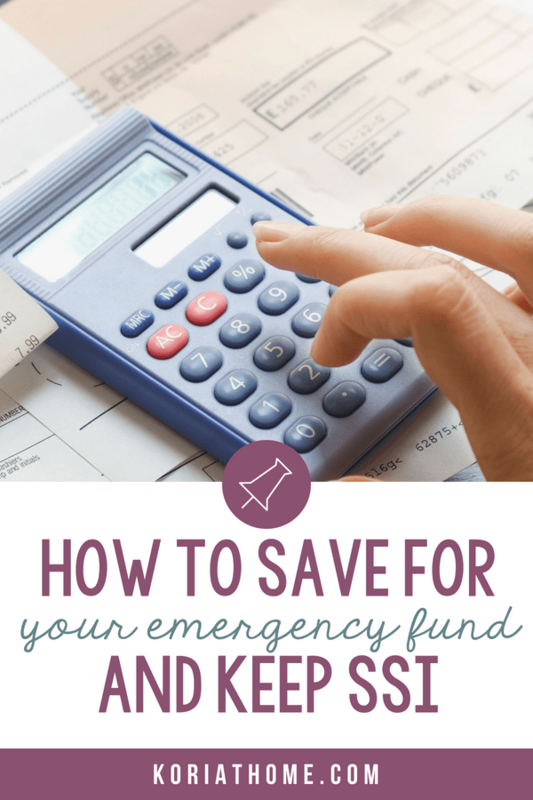 Here are some steps to help you get started to plan for your emergency fund, the “Saving” fund which will help you prevent financial disaster. Analyze your pass credit card statement and checking account registers to identify your irregular expenses occur throughout the year. Examples of these irregular expenses are property taxes, insurance premiums, vacations, car tune-ups, holidays and birthdays. List down in a piece of paper all the expenses which are not spent in monthly basis. In most of cases such as insurance premium and property taxes, you will know when the expenses are due to occur. And for those unknown cases such as car repair and plumping repair cost, try to anticipate their expenses and list them somewhat earlier than you actually expect them to come up. Be sure to update your calendar as you discover more expenses. Based on the foreseen amount and anticipated amount that are captured on your calendar, plan ahead your non-monthly expenses into your monthly spending. For example, you know that your car insurance is going to due on May, set aside small amount of your money for this purpose starting on February. And when May rolls around you can transfer the expense to your spending plan and have money available to pay it. Setting aside even a few dollars each month for foreseeable expenses can prevent larger money woes ahead. Sometimes, you may find it hard to set aside some extra money from your monthly income; but remember, repairing your car or paying your insurance is not optional expenses and you need to spend it soon or later. So you need to find a way to reduce your monthly expenses so that some money can set aside for emergency fund. You may need to track your spending; then, reduce or cut the optional expenses such as entertainment, dinner at restaurant and other impulse purchase, the money save from those optional expense can be put into your emergency fund. One of the mistakes people make when trying to get their finances under control is not having an emergency fund on their savings account. The problem is that if you don’t have money set aside for those unavoidable bills, you inevitably end up adding to your credit card balance to cover the difference. The bottom line is to start today. 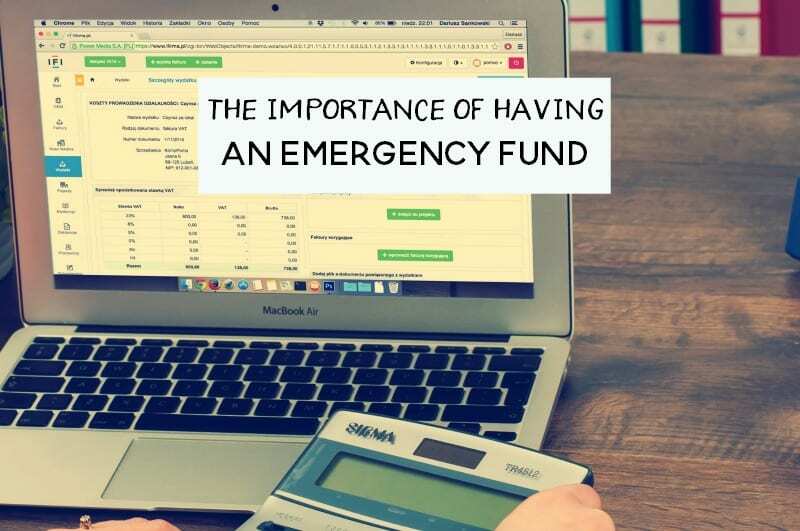 It may be discouraging at first if you find that you don’t have enough money to fully fund your emergency fund, but you’ll begin to succeed the minute you start the process. A dedicated account for your disabled or blind child is NOT affected for SSI so, your emergency fund could be set up that way. However, it is important to note: these funds are for that specific purpose. Not for the household, but for emergency situations connected to your disabled or blind child. A lawyer can better advise you on this. It is also important to note that A.B.L.E accounts, up to $100,000; do NOT count towards your income. This is not like a true emergency fund, but you can at least put money towards it without it affecting SSI benefits. An emergency fund can be incredibly useful for any household. For a family with a special needs or disabled child, however, they will need to be a little more mindful about how much they’re saving. One way to do this is by setting up an ABLE account or setting up a dedicated account for the child.